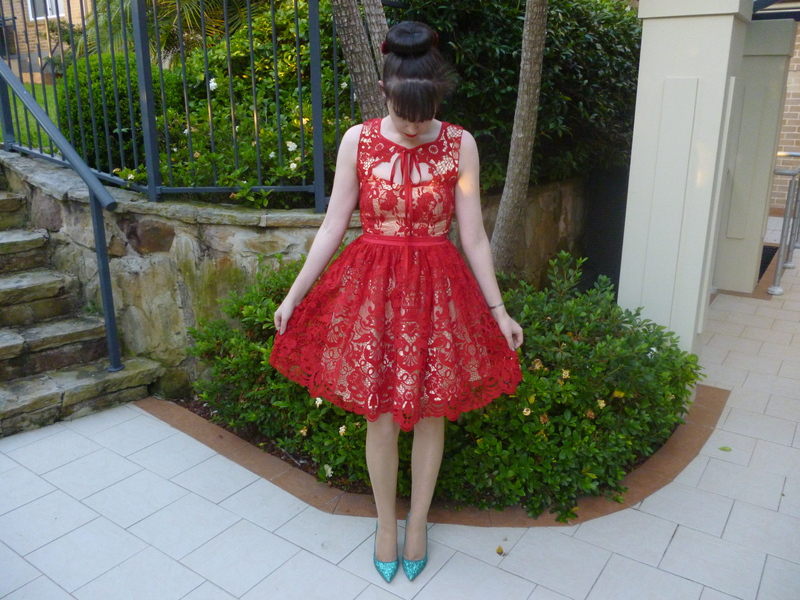 The Scarlet Lace Peekaboo Dress from Kitten D’Amour is definitely my favourite dress at the moment. You may recall that I posted it on my wishlist a few weeks ago here but I never expected to end up owning it. It retailed at $329 and, although completely stunning and excellent quality, I certainly cannot justify spending that amount on a single piece. 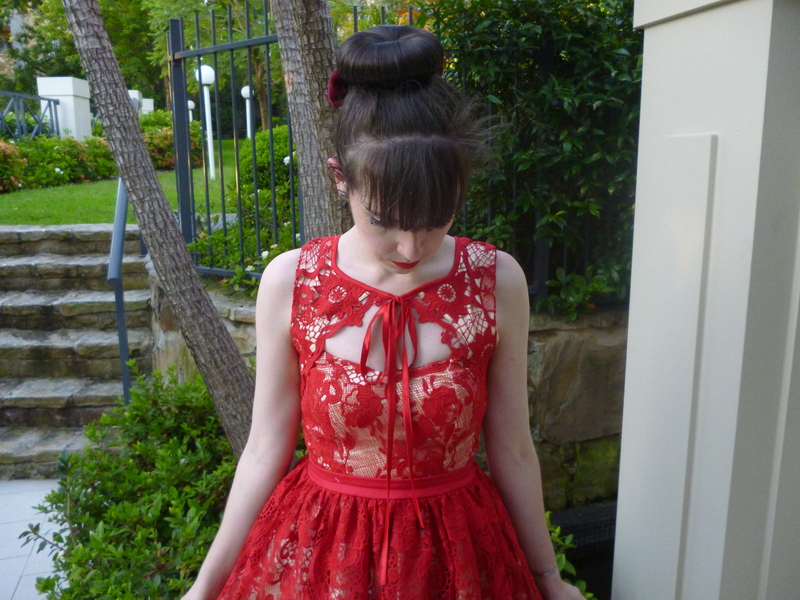 However, the dress finally came on sale (which was surprising because such a small number of the Kitten D’Amour collection ever comes on sale). At 40% off, and being my dream dress, I simply couldn’t resist adding it to my collection. I know I’ll wear it many times in the future including to a wedding in January and also on Christmas day. The dress itself is so beautiful and delicate. I adore the tie bow and the lace overlay. I love it more than words can explain. My experience with the delivery of the dress was very disappointing, however. I had intended to wear it to an event last Friday. I ordered the dress from the Kitten D’Amour website and inquired as to whether it would arrive in time. I was assured it would and placed the order on Tuesday of last week. I paid for express post just to be sure. However, it didn’t arrive in time and I was very upset I couldn’t wear this dress to the event. The dress was apparently posted on the Wednesday and didn’t arrive until the following Monday. As a regular customer of Kitten D’Amour and, having paid express and inquiring beforehand, I just expected more. Kitten D’Amour are all sweet and over the top with the customer service when everything is going well, but when it comes to admitting their share of responsibility, they are not quite so friendly. My email expressing my disappointment has been completely ignored at this stage. I understand it may not be the biggest deal in the world but when they hold themselves out to be helpful and also since they charge so much for their clothes, I do expect better. I love the pairing of red and green for any time of the year so my emerald glitter pumps were the perfect choice for the dress. I’ve worn them for my last three outfit posts so you can tell how much I adore them. In much more important news, the Sydney siege absolutely broke my heart. I cried so much and it’s all I can think about. Of course it’s devastating anywhere around the world but when it’s so close to home and when you can recognise the locations on the television, it makes it even more impacting. It hurt just that little bit more to find out that one of the victims was a sucessful barrister. That’s not to say it wouldn’t have been tragic in any profession, of course it would, but the connections I have to the legal profession caused me to shed that extra tear. To think one of the victims worked right near the law courts where I myself got admitted as a lawyer just two months ago is chilling. I was in a meeting on Monday morning when I first heard about the siege. Even though I don’t work in the CBD, it was scary to think of what events were unfolding just across the Harbour Bridge. I rarely go the the CBD but I was there on Saturday morning because I wanted to visit Tiffany & Co and I walked straight past the cafe. So many people do every day and that’s what makes it so tragic; an event like this unfolds just by the simple act of going to get coffee on a Monday morning during work; it’s unspeakable. The legal profession is now denied a genius but more importantly three young children have to grow up without their mother. Not to ignore the other victims too; what an incredible man who died a hero, loved and respected by all. As for those who escaped, how does one begin to carry on with their life after such torture. Why do the most innocent of people have to pay for the problems of the world. 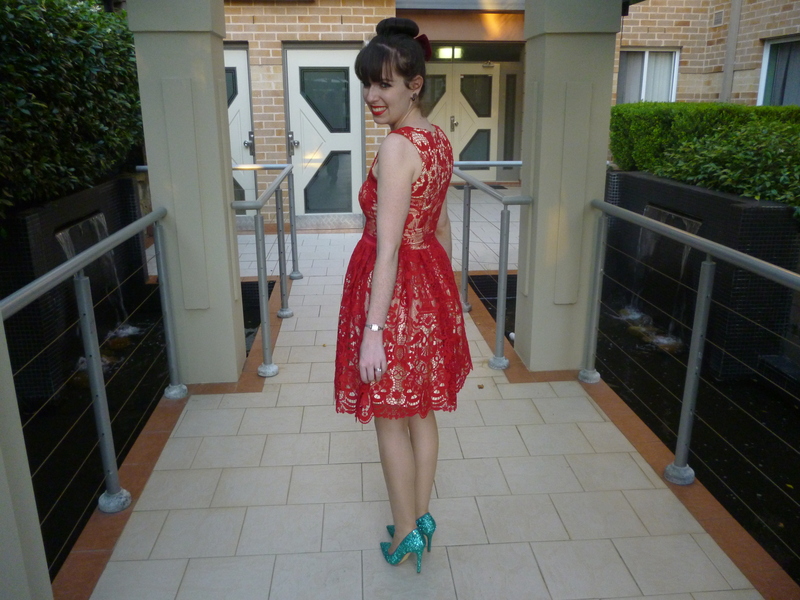 such a beautiful, intricate dress balanced by those glittery rockstar heels – LOVE this look! and i was sad to hear, watch and read about what happened there. 😦 it's unfortunate that innocent people are affected by this tragedy. 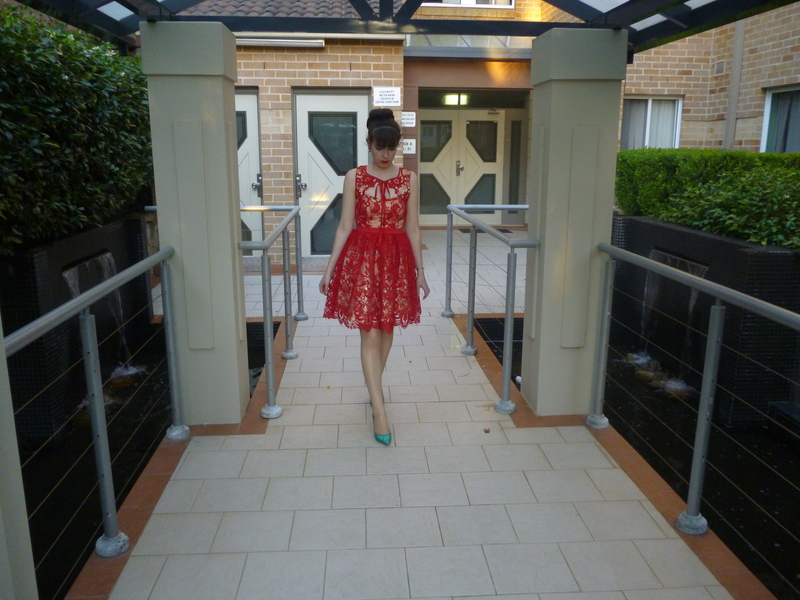 looking lovely in red lace! I love your outfit! That dress is really cute! You look marvelous. Love the beautiful dress and the heels. It's so sad that the innocent always have to suffer. My thoughts and prayers are with the victims and the families. 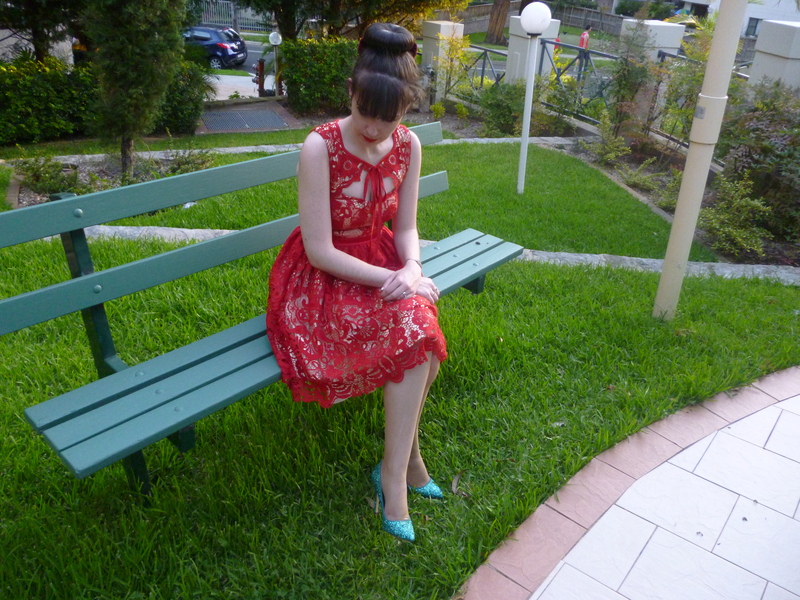 I didn't see this red lace dress, and it looks so elegant on you. I think it's normal to feel a bit sad that the holiday is over because it's such a special time of year, but we have to remind ourselves how many blessings we have already. Thank you for your friendship this year and all of your delightful comments. I wish you peace and lots of love in the new year. All your dresses are truly lovely. It is tough when you are on vacation and or break, and can't really post outfit pictures. Enjoy your break, next year is around the corner! This dress is absolutely stunning! 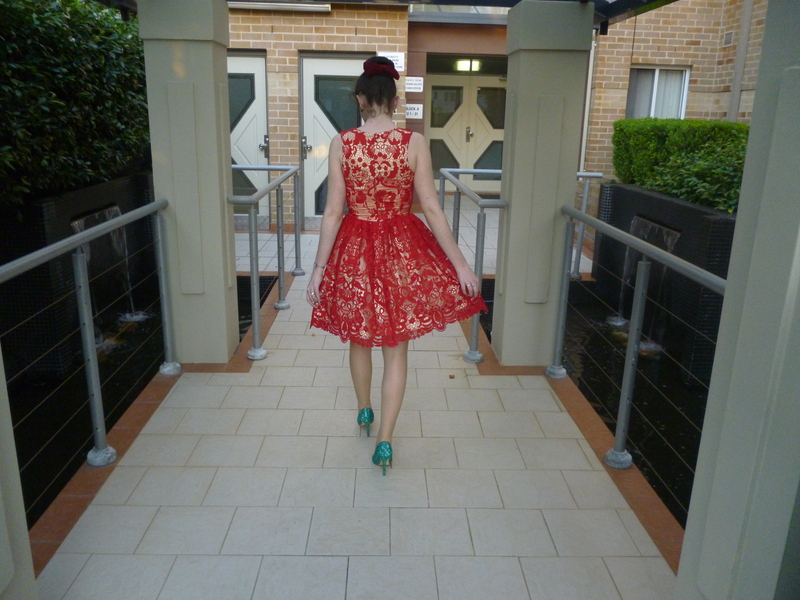 I'm in love with the lace and the color! Oh wow, that dress is perfection! Love the color and fabric – so feminine and glam! 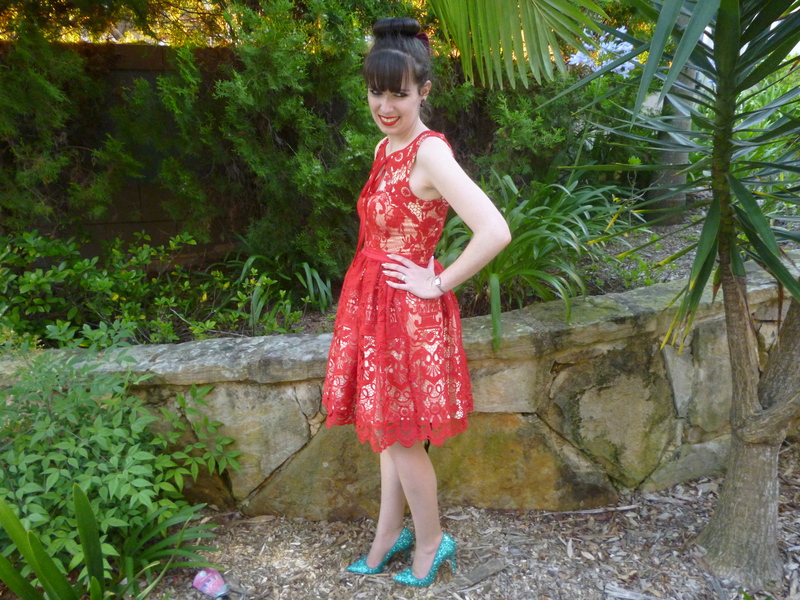 Imogen, your dress is scandalously brilliant! Thanks for joining my linkup! I hope to see you back next month!